Short for, or replacing the somewhat negative term "dreadlocks," locs are a hairstyle where the hair that one would normally comb or shed locks into itself, creating ropelike strands. During the locking process, people developing locs don't untangle their hair, which is what causes the strands to coil around themselves into fused units. Some people simply stop combing through their hair in order to form "freeform" locs, which tend to vary greatly in size. Many others prefer a more cultivated look, with neat, even partings throughout, and a uniform size to each unit. Cultivated locs can be started by coiling, braiding, twisting, or palm rolling hair. Typically, the tighter the natural curl pattern, the faster the hair will lock. People with tightly curled hair may begin their locs with simple palm rolling, while someone with a looser texture may have to braid their hair to begin locs. It takes several months for locs to grow from the baby stage to the more rooted teen stage, by which point they're "established." Locs allow for a range of possibilities in styling, including playing around with color. They can be formed in braids, twists, set on rollers, put into updos, cut into shorter lengths and more. Loc wearers can be incredibly creative, incorporating hair jewelry and shells into their styles as well. The most common question about locs tends to be "Do you have to cut your hair off afterwards?" It's a common belief that locs are too tightly entwined to undo. This is definitely the easier path, although combing the locs out is possible. 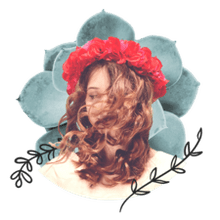 The unlocking process will take anywhere from hours to days, and if the hair has been in a locked state for a very long time (say, decades), it just may not be possible. Expect a lot of shed hair if you choose to unlock, however, because almost all the hair that normally falls on a daily basis is captured in the locs. You may have years of shed hairs to deal with. If you're unlocking your hair, invest in a dustpan and broom, or a vacuum cleaner. Although the matter of who should wear locs is constantly up for debate, the style hasn't historically only been worn by people of African descent. Locs a long history dating back at least as far as ancient Greece, and have been worn by people of various religions and cultures, including Hindus and ancient Israelites. Regardless, that doesn't mean it's appropriate for people of all cultures to wear locs, particularly without respect to the more recent history of the style. With the trans-Atlantic slave trade in full force during the 1600-1800s, Africans brought to America (and other places around the globe) were unable to perform their normal hair grooming practices, and so arrived looking unkempt. After traveling months on ships with no hygiene available, hair appeared matted and locked. It's said that slave owners referred to the "dreadful" sight of the captives, thus the term "dreadlocks" and its negative association. However, many loc wearers proudly call themselves "dreads," and debate the recorded history of the term dreadlocks. 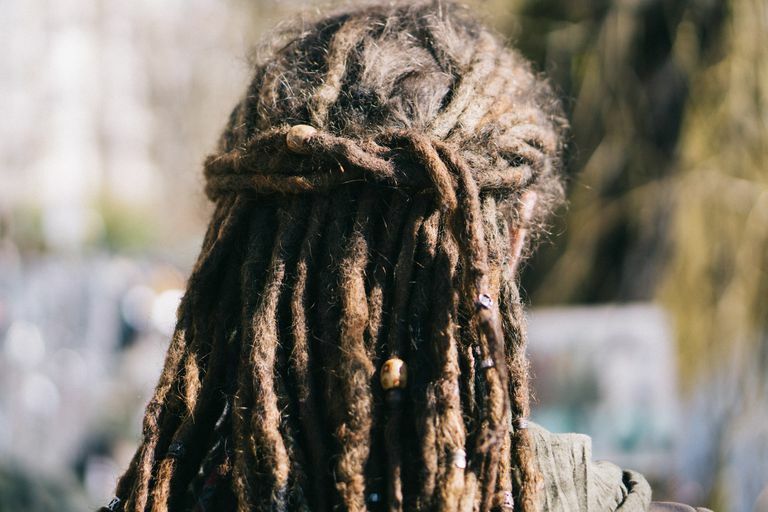 Instead of "dread" being used in a negative way, dreads will instead relay the respectful meaning of the term, along with how it's used in certain parts of the world to denote spirituality.